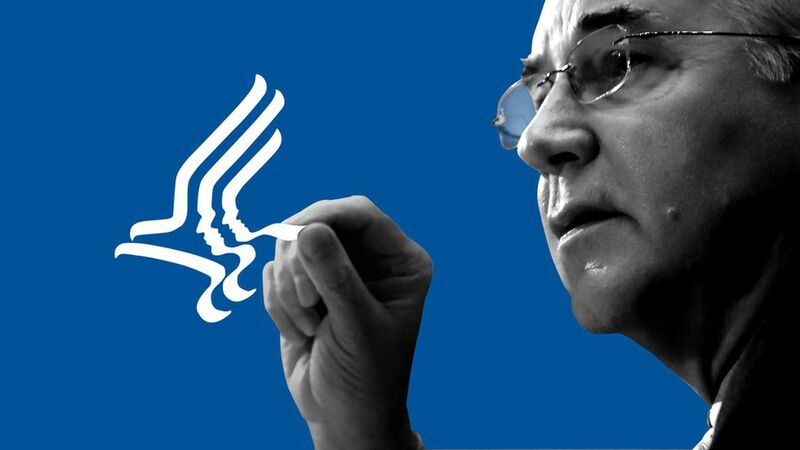 It's hard to think of another Cabinet secretary in recent memory who's been as hostile to part of his duties as Health and Human Services secretary Tom Price is to overseeing the Affordable Care Act. Most new administration come in with some reservations about their predecessors' policy decisions and aims to nudge things in a new direction — but that's hardly the same thing as producing P.R. materials attacking a law you're supposed to be implementing, and reportedly using money set aside to promote that program. "If you believe in the rule of law, then those reservations notwithstanding, the executive branch has a duty to execute the laws," said William Galston, who served in the early days of the Clinton administration and now chairs the governance studies program at the Brookings Institution. Price has been one of the administration's loudest critics of the ACA, and HHS has disparaged the law even in updates about its progress. But it's still up to HHS and the IRS to carry out the ACA's most significant provisions. Democrats never loved Medicare Advantage, the partially privatized program created under the George W. Bush administration, and didn't love the structure of Medicare's prescription-drug benefit, either. But when President Obama came into office, his administration carried out those programs relatively normally. It tried to cut Medicare Advantage payments a few times, but it didn't run ads or put top officials on TV trying to discourage enrollment. The parts of the drug benefit it didn't like were changed in the ACA. The closest parallel, Galston said, would be the tug-of-war between administrations at the Environmental Protection Agency, which has been sued in the past for refusing to carry out responsibilities it had been tasked with. If Price goes that far, he also could face the threat of legal action. Yes, but: "This is an unusual case," said Mark McClellan, who oversaw Medicare, Medicaid and the FDA during the Bush administration, citing the problems the ACA has experienced on the ground — even with the Obama administration's aggressive effort to make it work as well as possible. "This has been a little bit more fragile," he said. "To me what seems likely is markets continuing to limp along in some states unless administration decides to do something much more active" to disrupt those markets.